Ice rinks can be an exciting tourist attraction for any town; however, they also come with their own list of positives and problems, including cost and maintenance. These will vary as to the area as well as whether the rink is a permanent, indoor structure or temporary for the winter. Since 1963, Owensboro has supported an ice rink in their community. 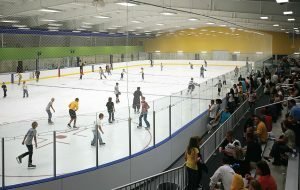 The city enjoys being able to offer a unique recreational experience to the community with yearround ice skating in their indoor facility. It also provides the city with an economic tool that helps to bring in money from tourism with competitions, out-of-town visits and tournaments. Like the majority of municipally ran recreational facilities, fees are charged for patrons who wish to use the ice rink. These fees are then used to offset the operating costs. The remaining cost is subsidized by city funds. Bodenheimer refers to the city’s previous fiscal year in which fees were able to cover 75 percent of the ice rink’s operating expenses so that only 25 percent had to be subsidized. 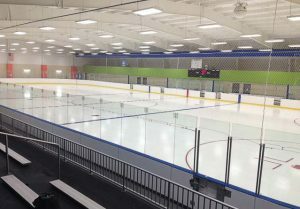 Ice rinks are known to be high maintenance and have high operating costs, and Edge Ice Center is no exception. A part-time staff works at the rink and receives additional support on electrical, HVAC and plumbing matters from the trained technicians with the city’s public works division. Regular preventative maintenance is required across all parts of the facility, which includes skates, ice quality, mechanical operations, food operating equipment and general facility upkeep. The benefits of the ice rink far outweigh any attributes that could be considered negative for the city of Owensboro because it provides a recreational facility that serves the community regardless of age or socioeconomic status. The tagline for the ice rink is “We are the COOLEST place in town” and is paired with an impressive list of programs offered. These include the usual skating lessons, birthday parties and holiday events such as skating with Santa, a New Year’s Eve party or trick-or-treating. They also offer summer day camps and winter and holiday break day camps for children. The summer day camps have grown in such popularity that they now account for 15 percent of the rink’s total annual revenues. Being open year-round also provides the community with additional opportunities for summer leagues and travel hockey programs. These can be particularly inviting during the hot and humid Kentucky summers. The municipal ice rink in Bethlehem, Pa., is outdoors and, therefore, seasonal, but it is unique in that the skating rink is Olympic sized and covered with a roof, though not enclosed. The season typically goes from late October — when employees begin making the ice — to March; however, due to this year’s unseasonably high temperatures, they are a bit behind schedule. Thanks to the rink, the city is able to provide a memorable outdoor activity for residents throughout the winter months. Events held at the rink generate a source of income to help with its expenses, and it is funded through the city’s operating and capital budget. The ice making process is the most time-consuming maintenance concern. Employees spend a few days working around the clock laying the water, putting the logo on and painting the ice. Another maintenance difficulty involved with having a seasonal, outdoor rink is having to deal with the outdoor elements. The set-point of the ice must constantly be monitored since the ice is kept cold thanks to glycol-filled underground pipes. If the weather gets warmer, condensation can lead to fog and dripping. When the winter season has ended, the machinery is simply turned off and the ice is allowed to melt on its own. The pipes are then drained, the logo removed and a floor machine is rented to mop up any excess water. As with the indoor rink, skating lessons, birthday parties and private rentals are offered. Hockey teams use the rink for practice and games, and schools even rent it out for family nights. However, Bethlehem makes sure to utilize this space during the summer months as well. Then throughout June, July and August, summer day camps are held. Two local roller derby teams also use the space for practice during the week and bouts on the weekend.